We've got some fantastic events coming up this December as part of our Aldgate East My Neighbourhood project www.fourcornersfilm.co.uk Local people share creative responses to their community in a new exhibition, photographers Sarah Ainslie and David Hoffman discuss their work, and broadcaster Alan Dein leads an oral history workshop. All events are free to attend. Follow the links below to book. From local photography to creative writing, see some of the brilliant work produced by participants so far. Join photographer Sarah Ainslie for a chat about her involvement in the Aldgate East My Neighbourhood project. 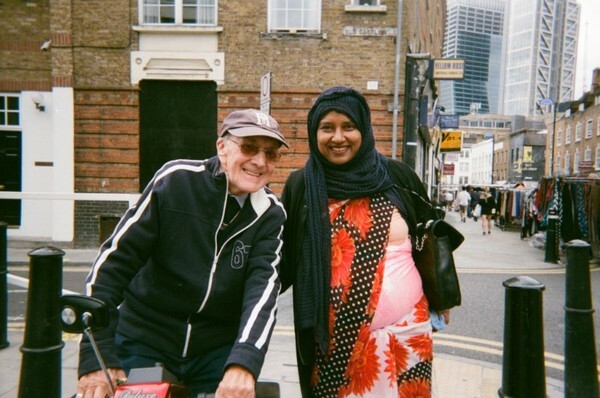 We're collecting stories about the people, cultures and history of Aldgate East. Come and have your story recorded by award winning radio presenter and oral historian Alan Dein. Photographer David Hoffman shares his remarkable images of '70s and '80s Whitechapel.